Okay, so you all know that I finished inFamous recently (if not read this). By beating that game I now have a slot open for a new game. 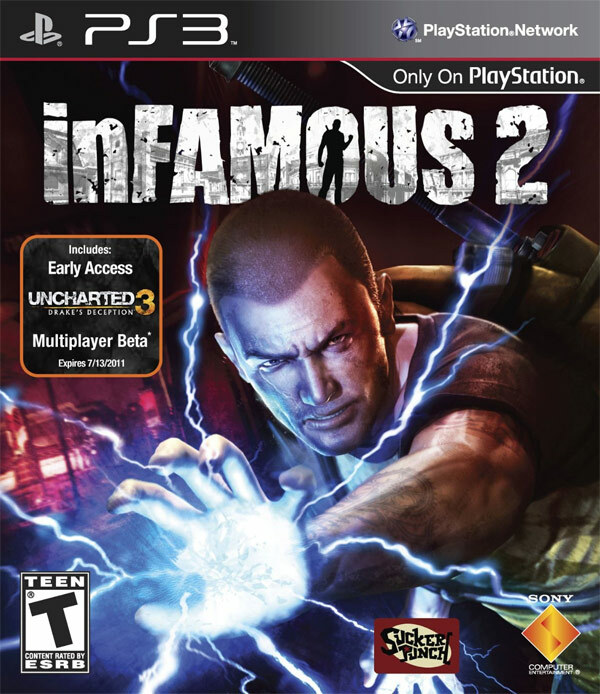 That game is inFAMOUS 2. So yeah, not quite a brand new game, but it isn't inFamous. It's the game that came after it. Anyway I've currently invested over 8 hours into the game and I have to say that it improves on almost everything from the original. A problem I've run into is that I only switch between two abilities. The blast and bolt attacks. Even though all the other buttons add something to the game play menu. I just never use anything else, because things like the Kinetic abilities take to long to execute. Normally I would work around that by building distance between myself and the enemy. The problem presented here is the fact that enemies are very aggressive. They will always be on you, which I love that the game makes the fights intense, but there is to much involved in lifting something up and launching it at an enemy. Even if you do execute the attack the enemy will likely move out of the way and knock down whatever you threw. 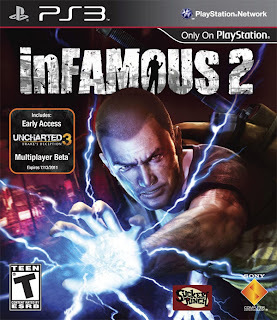 In inFAMOUS 2 there are super abilities that are called "Ionic Powers". These bad boys are killer to say the least. The first of four that you unlock is called the "Ionic Vortex" and it allows you to launch a electrical tornado (in a straight line) at your foes. This sucker causes a ton of damage, because not only does it pick up the enemies in its path it will also pick up and move anything that is in that same path. So nothing but destruction remains after you call it up. Unlike with the first game though the Ionic Powers are limited to another collection system. When you defeat enemies certain ones will drop ionic charges that allow you to store up at least one (can be expanded up to three) ionic attack. Once you use an ionic attack you have to wait til you have found another ionic charge.